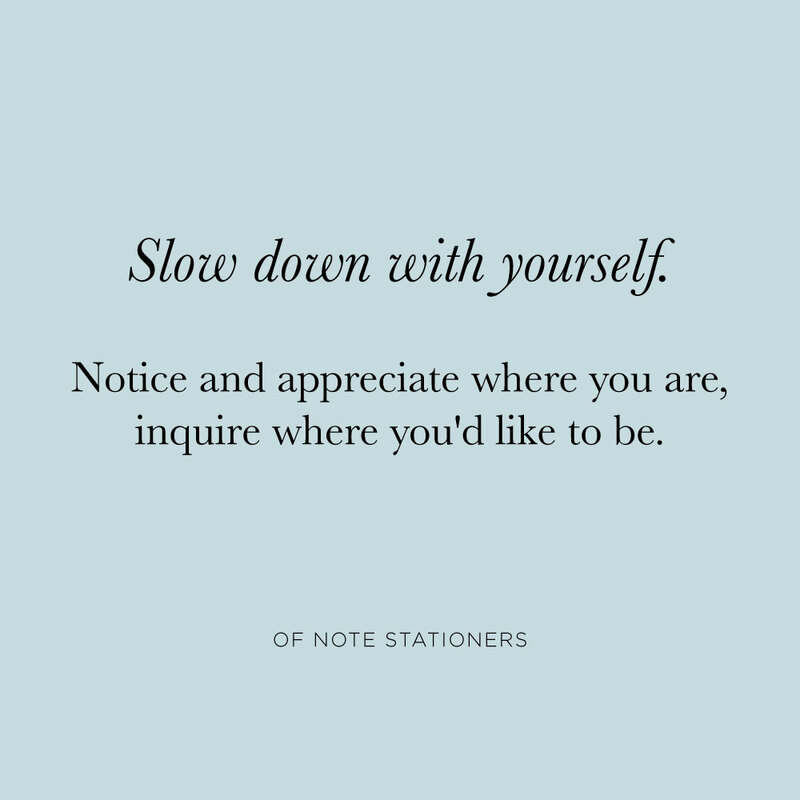 Our Current Invitations are monthly points of focus that inspire and guide your letter writing practice. We’ve archived them here so you can start your practice anywhere you like. 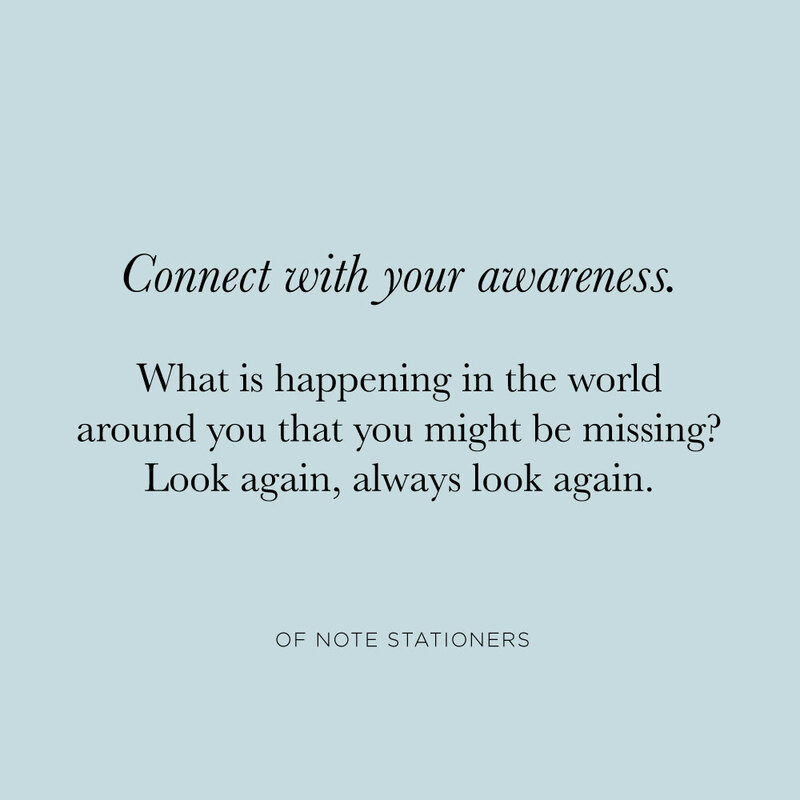 As Annie Dillard says, “How we spend our days is, of course, how we spend our lives,” and we’d like to spend our days, and thus our lives, taking note — observing, reflecting, and connecting with the world around us. Three simple words that can have such an impact when used with care, attention, and sincerity. Reading this in the morning? Pick one of these questions to hold throughout your day. Coming across this mantra at night? Adjust the questions to “what did I love, who did I love, how did I love,” and you’ve got a wonderful spin on a Gratitude practice. We are allowing winter’s slowness to give us permission to rest within an intentional cycle of reflection, of nurturing what we find, and of manifesting what we want. We invite you to do the same. There is so much good out there just waiting to be noticed. This is your invitation to look for the good and celebrate it. It is so easy to focus on the hard thing, the thing that isn't going right. What if we put our energy towards seeing the good, towards noticing how people care for us? Appreciation is a gift, a gift of attention, vulnerability, and gratitude, for yourself and the one whom you appreciate. Slow down and let yourself revel in inspiration. Who inspires you? How? Can you go a step further and let them know? However your day is unfolding there is good in it somewhere, you just need to look for it. Once you find the good, honor it by preserving it in writing. Save the note for yourself or share it with someone else.